In a $600 billion regional economy, it’s tough to view any one piece of economic development as a proverbial “game-changer” for Chicago. Our economy is so large and diverse, even “big news” makes ripples not waves. But working out a deal to have Chicagoland Chamber member, Amazon, build its second headquarters here would truly be a game-changer. Amazon is looking to invest more than $5 billion in construction (its Seattle campus has 33 buildings totaling 8.1 million square feet) and to create as many as 50,000 high-paying jobs. That number is staggering: 50,000 high-paying jobs with annual compensation of more than $100,000. To say nothing of the numerous jobs and small businesses an employer like Amazon will support directly and indirectly. In a region with more than 400 corporate headquarters, including 34 in the Fortune 500, that number would make Amazon our largest employer, by far. The positive economic waves created by an Amazon HQ2 in Chicago could be the most compelling part of this. In Seattle, each dollar Amazon invested is estimated to have generated an additional 1.4 dollars for the local economy. 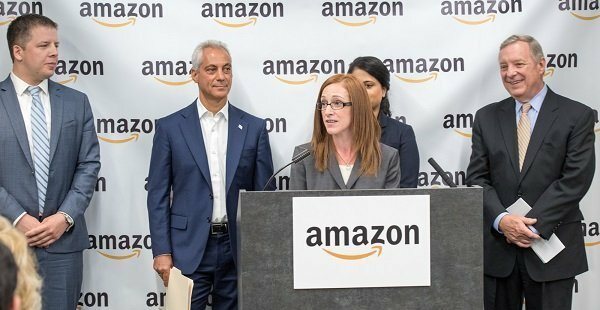 The Chicagoland Chamber applauds and strongly supports the work of Mayor Rahm Emanuel, Governor Bruce Rauner, and Jeff Malehorn of World Business Chicago, the economic development arm of the City, in their joint efforts to bring Amazon here. The Chicagoland Chamber looks forward to supporting these efforts in every way possible. 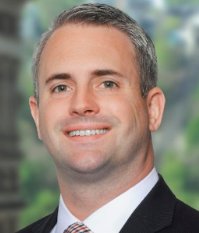 "I appreciate the networking opportunities the Chamber has provided me. It is always great to meet new people from different lines of business. It allows me to consider different perspectives on current events or industry trends.” Read Bill’s full interview here. Dyjak, Marquardt and Assoicates, Inc. Check out our Upcoming Events online now!